Personal Storage Solutions in LA and San Diego. Full Service Storage. When it comes to personal storage, you have many options. However, residential storage shouldn’t be complicated and it shouldn’t mean hours of backbreaking labor or settling for less than the best. At Allstate Moving Systems, we offer more than just moving services; we offer full service storage that helps keep your treasured belongings safe and secure. What does full service storage mean, anyway? Put simply, it means that you pick up the phone and we do the rest. Our experienced, capable professionals will inventory, pack, move and store your items in a secure facility. Our computerized inventory management system gives you peace of mind, and access to your storage records at any time. Just because we offer full service storage, doesn’t mean you should expect a high price tag. Our efficient storage model means that we can provide this full-service storage for a lower cost than you would expect from a self-storage facility. Allstate Moving Systems is a residential mover and storage company that has helped people like you with residential storage and moving for over 50 years. With locations in North Hollywood, Ventura, Oceanside and Poway, California, we are convenient to you. Allstate Moving Systems is an agent for United Van Lines–part of a family of qualified professionals who specialize in the transportation and storage of household goods with locations nationwide. 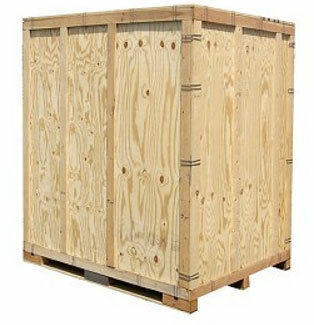 We store your belongings in a well-secured warehouse. Our warehouses are located in safe areas, protected from intrusion. We pride ourselves in our top-of-the-line surveillance, alarm systems and our military approved warehouses. You can feel confident your property is safe and secure! Don’t struggle with storing your belongings during the moving process. We will keep your belongings safe at one of our facilities until you are ready to move them into your new home. If you are looking for reliable full service storage, residential moving or just want more information about the services we offer at Allstate Moving Systems, please give us a call at (800) 897-6683 or request a quote online today for a consultation with one of our experts. If you are looking to store palletized product, oversized items, or for commercial storage services, please click here for more information. In either case, we look forward to working with you.